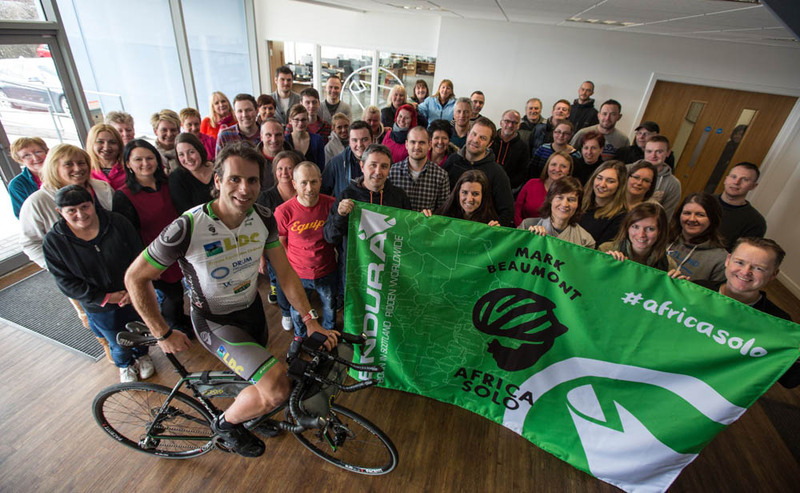 It would appear that Mark Beaumont isn’t content with holding just a couple of record-breaking cycling feats. The 32-year-old has achieved fame in the past for becoming the fastest person to cycle around the world and then across the Americas. And now he is ten days through an event in travelling down through Africa, from Cairo to Cape Town. He plans on cycling over 6200 miles (10,000km), 150 miles each day for 50 days through several African countries, including Egypt, Sudan, Ethiopia and Kenya. Beaumont is raising money for Glasgow humanitarian design group Orkidstudio and he trained for his ride with the Scottish Cycling squad in the Sir Chris Hoy Velodrome. The Scotsman rode 18,297 miles (28,446 km) around the globe in 194 days in 2008. Two years later he made the trip from Alaska to the foot of South America in Argentina. His around-the-world record, however, was broken by Vin Cox in 2010 and now Englishman Mike Hall holds the record with a remarkable 92 days in the saddle . You can follow Beaumont’s progress via his live tracker and on ride logging website Strava.